Bleacher Report's Ric Bucher went on FS1's The Herd with Colin Cowherd on Wednesday and said it's a "done" deal. "From everything I've heard, it's done," Bucher told Cowherd. "Yes, he's leaving." "It's not a matter of not liking or appreciating what he has," Bucher told Cowherd. "Kevin Durant has never been fully been embraced by the Warriors faithful. Here we go. The crazy thing is that Kevin Durant is super sensitive and he's played in a market where he was never criticized (Oklahoma City) and another in Golden State where the media is not near as aggressive as New York City. While not as adamant as he is about Durant, Bucher also thinks Kyrie Irving is likely to join his best friend Durant in New York City. Again, whereas recent Celtics stars like Isaiah Thomas, Paul Pierce, Kevin Garnett and Rajon Rondo received tremendous love from Celtics fans and never really complained about the Boston media, Kyrie has not had a good experience with the media this year. And his comments haven't endeared him to Celtics fans like the above former Celtics stars. How can he imagine the media will leave him alone and let him "just play basketball" in New York City? Regarding this rumor, it's up to you to judge Bucher by his body of work and decide if this rumor has legs. 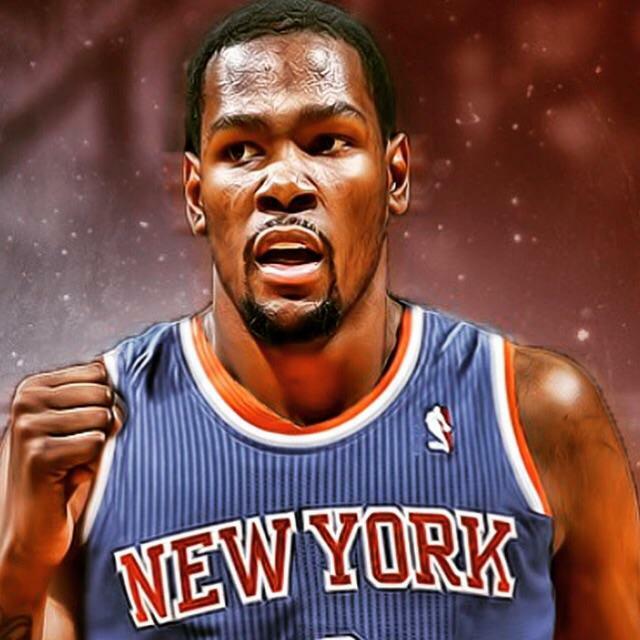 Durant to the Knicks is sounding a lot like LeBron to the Lakers did last season and that happened, but things can change in 3 months. In Kyrie's case my prediction is he stays in Boston if we make it at least to the Eastern Conference Finals. If we make the Finals, I can't see him leaving. But if we get bounced in the 1st or 2nd round, I would guess he leaves for the Knicks if Durant is signing there as well, regardless if we trade for Anthony Davis or not.